Service Tech Audio Visual had to satisfy the design needs of an ultra-white modern 10,000 sq ft. lakeside escape for world traveling empty nesters. Utilizing the Lutron Homework’s QS panel system, we were able to relocate close to a 100 loads and reveal just single See Touch Keypads with Screw less plates. Every room had multiple assortments of decorative, accent and cove lighting creating a memorable space. Guestrooms and utility areas utilizes QS wireless when the footprint did not exceed a double gang leaving the budget to focus on the main areas of the house. 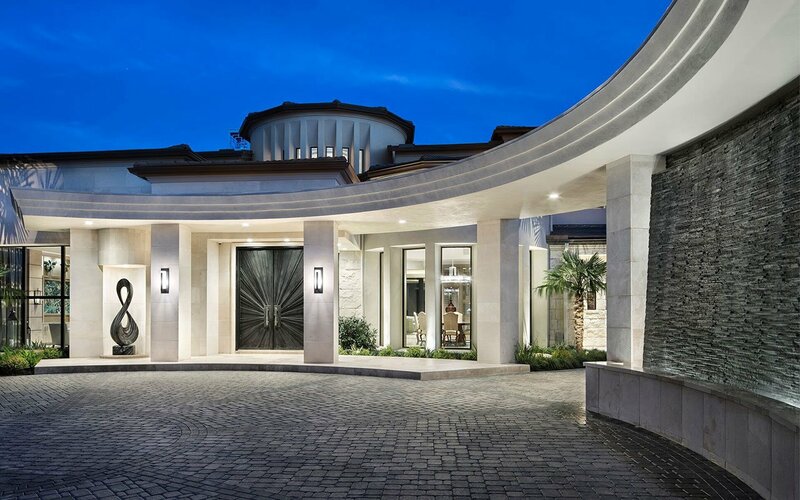 The Lutron system controlled all aspects of subsystems from HVAC, Interior Shades, Drapes, 3rd Party Bug screens, Misting System, Landscape lighting and Fountains. We felt that anything that was accessible via a See Touch Keypad should have a direct connection to the lighting System. A Crestron AV system was utilized for all other components and to act as a shell to the Lutron system integration. The home owner was amazed with the ease of being able to edit our scenes via the App during our initial training session.